Academic Technology Solutions (ATS) is launching UChicago’s first ever “OneButton Studio” for Fall Quarter 2018. It is located in Regenstein Library, Level A, and is based upon similar successful facilities at a number of other universities. The OneButton Studio is a simple and easy-to-use video studio that requires no previous video production experience to operate. The OneButton Studio allows users to create high-quality video in two simple steps: press a button to begin, and press again to stop. All of the work of setting up a camera, microphone, and lights is already done and pre-configured, leaving the user with only the task of recording the video. This launch comes after ATS piloted the UChicago OneButton Studio throughout this past spring and summer and is an exciting addition to the University of Chicago’s academic technology landscape. Throughout higher education, video assignments are an increasingly popular way to teach students how make presentations, and these assignments can both support or replace more traditional evidence of learning. The availability of the OneButton Studio now provides a highly efficient capability for University of Chicago students and faculty to create high-quality digital video content. Common uses for students include student assignments, project pitches, and presentations. 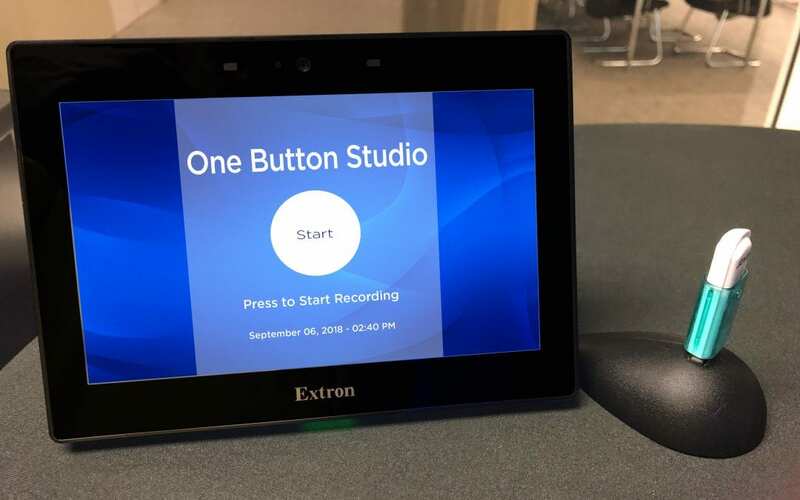 In addition, as more instructors adopt video recording as a way to supplement their traditional classes, the OneButton Studio provides an easy way to produce high-quality video and audio. If you are interested in learning more about the UChicago OneButton Studio and what it can do for you, please contact us.